On the 4th of November, Australia's Institute for Sensible Transport (gotta love the name!) hosted a parking policy seminar at the Melbourne Town Hall with the title "The High Cost of Free Parking". As the name suggests*, a highlight was the keynote by Professor Donald Shoup of UCLA. Also featured were Profs Graham Currie and William Young from Monash University. You can now download presentations and audio files from the event from HERE. Two Shoup presentations: One on parking pricing policies and one on minimum parking requirements. 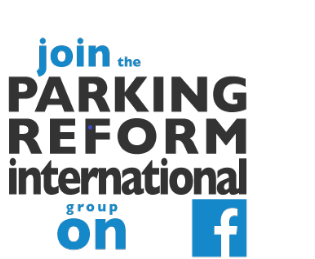 While in Australia, Prof Shoup also spoke at the 12th Australian Parking Convention and Trade Exhibition (APC2010) which was held in Sydney on 7 to 9 November. * "The High Cost of Free Parking" is the title of Shoup's now famous book on parking policy. Update: fixed a broken link to the Town Hall seminar. Calcutta's on-street parking "extortion rackets"